Bhavaprakasa is a land mark in the history of Ayurvedic Medicine. It is one the three famous books on Ayurveda, together known as laghutrayi. The author Bhavmisra wrote this treatise in 16th century A.D. This was one of the best compilations of medical knowledge prevalent in medieval period on the use medicinal plants and treatment of various diseases. This volume the first part of purvardha contains a lot of information on the basic concepts and five purificatory procedures (pancakarma) along with Nighantu (lexicon). 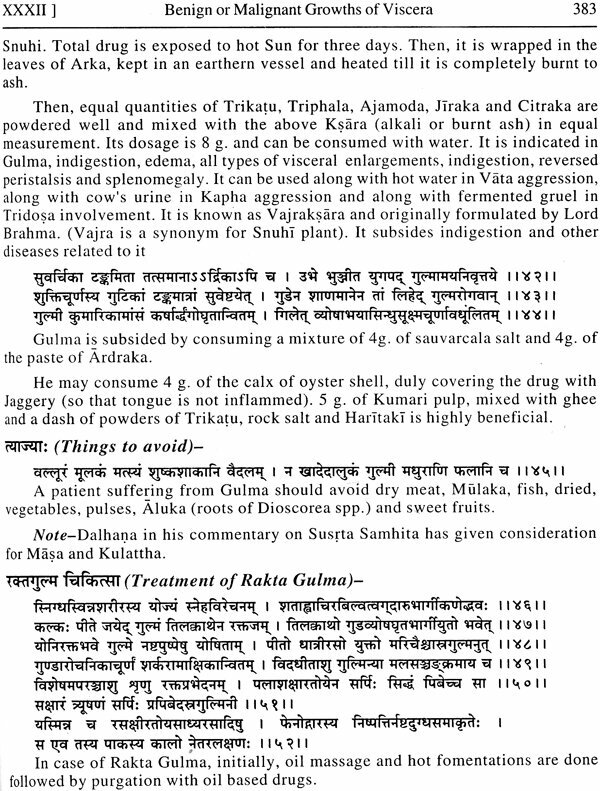 The Nighantu part clarifies many controversies on medicinal plants and exemplified many exotic plants species making it an esteemed treaties for academicians of Ayurveda and Botany. Bhavamisra also added some new formulations and treatment methods, dwindling its importance. The present commentary on the text is the first of its kind in English. A study of the plant drugs in terms of nomenclature botanical identification, morphology and habitant is done elaborately. Updated phytochemistry and important therapeutic uses are included under the description of each plant. Latest scientific names including the varieties of plants are mentioned. Wherever necessary, a notes is given, discussing the different opinions of various commentators and in many instances a co-ordinating solution is worked out. This is an informative and fundamental work useful for teachers, students researchers and pharmacists, written in an innovative, modern scientific manner. This commentary will be widely welcomed by students and practitioners of modern medicine and by scientists interested in the vast extent and rich content of the pharmacopoeia of Ayurvedic science. 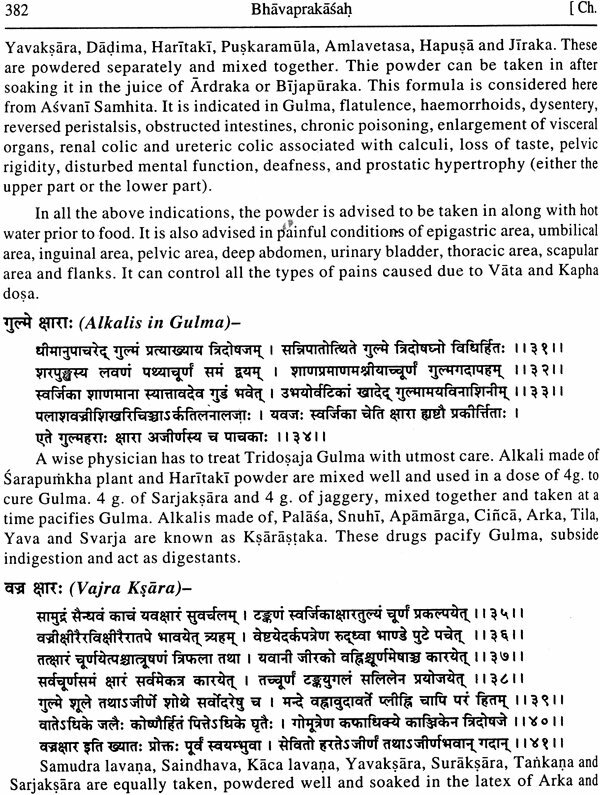 A legible translation of the original text helps persons to understand the charm of Ayurveda in the middle ages. Dr. Bulusu Sitsram is from a traditional Vedic family from Inavalli, situated in the Godavari delta known as Konaseema in Andhra Pradesh. He is born at Kakinada in East Godavari district on 01.10.1959. His School education was at Kothapeta an completed his B.A.M.S. in 1982 from Nagarjuna University in Vijayawada with a first class and first rank in the university. He completed M.D. (Ayurveda) from Banaras Hindu University Vanarasi in 1985 under the pioneer guidance of Prof. Krishnachandra Chunekar a living legend in the field of Dravyaguna. He had also the opportunity to work under Prof. Ramharsh Singh the first Vice Chancellor of Rajasthan Ayurveda University. He completed his Post Graduation in psychology from S. V. University in 1999. He worked for 3 months under a team of taxonomists in Neelagiri area. Then he served as a Medical officer for an year in a Traditional Ayurvedic hospital in Channai. He joined as a lecture in Sri Venkateswara Ayurveda College Tirupati, which is maintained Tirumala Tirupati Devasthanams in the year 1987. He is now serving as an Assistant Professor in the same institution and is also engaged in research work on Andhra Medical Flora and pharmacological studies on medical plants. The author had the opportunity to participate in many workshops and seminars at regional, national and international levels and presented several research papers. He had visited the forests of entire South India and some part of North and North-east. He published more than 10 papers in different journals and authored a work on cultivation of medicinal plants which encouraged thousands of farmers in that direction. He also published many popular articles in local news papers. His field of interest is plants working on central nervous system. It is a great pleasure to write the Foreword of the Commentary of Bhavaprakasha Vol-I, by Dr. Bulusu Sitaram one of my students at Banaras Hindu University. In fact, Ayurveda came into existence along with Veda and was expressed by Lord Brahmadvea. This great wisdom was put into letters by great seers like Charaka and Sushruta. They wrote many concepts of Ayurveda including Dravyaguna and enumerated plant drugs nearing to a number of one thousand and used them clinically. They described the properties of many plant species but in brief. In the following era, many Nighantus (lexicons) were written to describe the plants morphologically and pharmacologically and quoted their properties and uses also. It is stated that nearly 500 lexicons were written and out of which 100 are available now in some from. In the course of time, many new plant species are included and identity of some became controversial due to varied reasons. It is at this juncture, in the latter half of 15th century A.D. the great scholar Bhavamisra illuminated the Ayurvedic world with his clarity of expression and thoughts and paved way to the golden era. He could successfully remove many controversies on medicinal plants. The book is a wholesome work on Ayurveda including a lexicon which is considered the best of its kind. The present translation is a need of the hour because no standard English translation solving critical points of the text and giving elaborate description of drugs along with technically correct knowledge of this great treatise is available. These aspects have been satisfactorily fulfilled by the commentator Dr. Sitaram. It can help the students, who wish to update their knowledge through English. It may serve the purpose as a reference work to the teachers of Dravyaguna as well as other subjects of Ayurveda. Each plant drug is supported with a botanical description photochemistry and few important therapeutic uses. These things are helpful to a learner in correct identification and understanding of a plant species. The note as mentioned, gives a vivid idea about the controversies and solution or suggestions of identity. 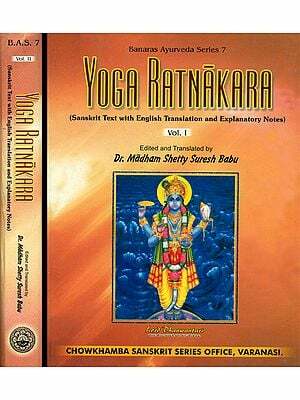 This 1st volume is not only a treasure house plant drugs but also contains details of Panchakarma therapy. So a worker on the subject is benefited with the comprehensive translation. The words used as equivalents are just accurate and provide the context precisely. With these words and hearty congratulations I wish, Dr. Bulusu Sitaram will work progressively with dedication and sincerity towards the science of Ayurveda and I bless him a lengthy span of life with health and wealth. Ayurveda descended on earth more than three millenniums ago, with the great tapas, made by seers like Bharadwvaja for the welfare of the mankind. Infact, Ayurveda came into existence along with Veda and was expressed by lord Brahma. He then preached this treasure to many great persons like Daksaprajapati. Ever since Ayurveda continued to be in practice by divine physicians like Aswins. From them, it spread to all parts of universe. In this mighty time, many pious and devoted physicians and seers recorded their vast knowledge in the form of different samhitas. (Samhita- A great and precious collection of valuable knowledge). When India was invaded by foreign forces and whenever it was exposed to natural calamities some of the treatises as written were distorted but devoted physicians never allowed break in the continuity of the tradition. Thus, inspite of great hurdles the brhatrayi (greater Triad) Caraka Samhita, Susruta Samhita and Astanga Hrdaya inspired the entire country in learning the science and large number of latter physicians ventured to write many wonderful texts on Ayurveda. This not only led to further development but also protected it from the danger of stagnation. Theses scholars went on adding their own observations and started recording them in perfect order without deviating themselves from the basic principles as descended from Lord Brahma Deva. In this order, three more great works appeared and became famous with the name of Laghu Trayi (Smaller Triad) and they are Madhava Nidana, Sarngadhara Samhita and Bhava Prakasa. Out of them, Madhava Nidana, made valuable contributions in the fields of pathology and diagnosis. Sarngadhara could completely revolutionize the pharmaceutics, which he felt the need of the day and this great work paved to the modern pharmaceutical industry. Similarly four hundred years back Bhavamisra, a versatile scholar in Ayurveda and other contemporary sciences wrote a treatise, which became famous with the name of Bhava Prakasa Samhita. This work contains almost all the traditions as descending from generation to generation, starting from Lord Indra and Seer Bharadvaja. It is now a mega bridge between the old treatises and new thoughts and applications because already by that time, Europeans started influencing our culture and knowledge.